Plastic is everywhere—especially around the holidays. It seems like every toy on the shelves has at least some plastic components these days, and it leaves a lot to be desired for parents or loved ones who might want to avoid the material in their children’s toys. So where do you look for plastic-free gifts? Shopping secondhand is a great way to move towards plastic-free (and even zero waste) gifting, as is shopping for books and card games your children will love. Experience gifts, like tickets to a concert or membership to the zoo, can be a big hit. And of course, get creative! Crafting together using existing craft supplies is a fun way to bond and let your imaginations run wild. If you want more to wrap up in boxes and (plastic-free) bows this year, we’ve culled together our favorite plastic-free gift ideas for kids. These twelve options include childhood comforts, toys that encourage imaginative play, and educational gifts that inspire your child to learn more about the world around them. If you order online, it doesn’t hurt to ask for plastic-free shipping options in the comments of your order—you never know who might happily comply. Every kid loves a soft and cuddly snuggle buddy to accompany them through their childhood adventures. This sweet lamb is fair trade, and is hand knit from 100% cotton yarn—plus, with each doll purchase, cuddle+kind donates ten meals to children in need. Check out all of their dolls to find the perfect creature for your little! We’re a big fan of interactive gifts, and this all-in-one garden kit is a great starter for kids to learn about growing plants! The can is made from recycled aluminum, and holds the organic soil, organic fertilizer, and the seeds you need to get started. 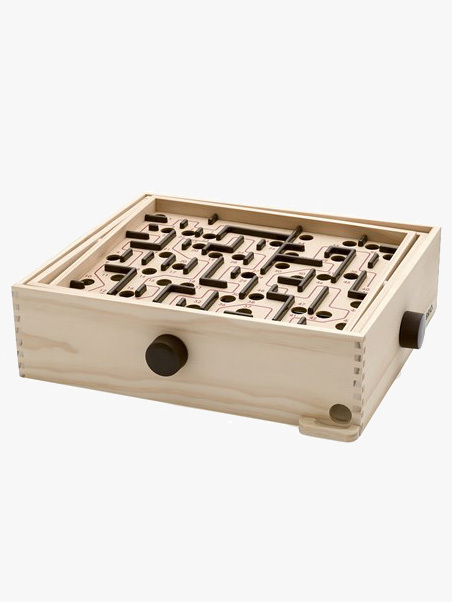 For the budding engineer, this magnetic block set has infinite possibilities and will last for generations—adults will even like building with them, too. These simple wooden blocks are made from sustainably-harvested hardwoods and contain no lead, plastic, or any other toxins (the premium lacquer finish is water-based). We love toys that encourage creative exploration, and this magnetic wood robot combines puzzle elements with free play that kids will love. Stack it up as a robot, or deconstruct it and turn the pieces into whatever your imagination can come up with. Another gift that encourages imaginative play, this super hero cape will get your little ones up and active. Hanna Andersson upholds strict standards for ethical and responsible labor practices, and this quality cape will last in the toy box for years. They also have many other unique and adorable costume pieces available in their shop! 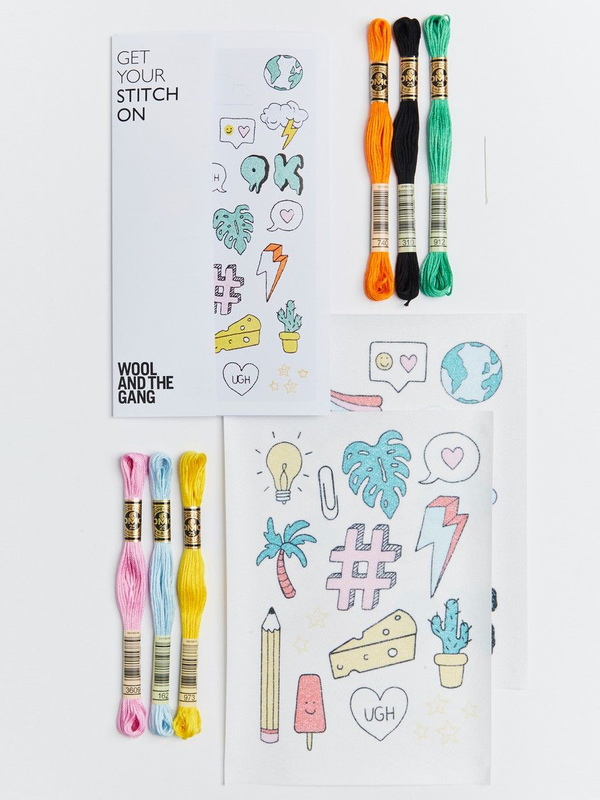 For something a little different, gift the crafty kid in your life an embroidery kit! We love this lighthearted kit from Wool And The Gang that teaches us all to appreciate the process of making and embellishing our own clothing. Craft kits are a simple way to gift plastic-free, so consider crochet and knitting supplies as well! The gift that keeps on giving, this annual subscription to National Geographic Kids is the perfect gift for the curious young ones in your life. This magazine helps them discover the world around them in an accessible, cheerful way and gets kids excited about learning. 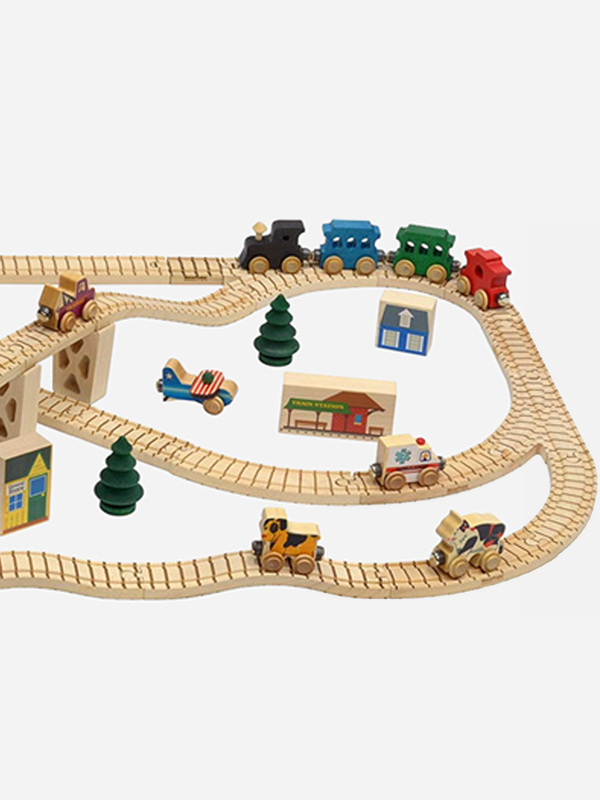 There’s nothing quite as magical as a toy train set under the tree when you’re a young child. This set by Maple Landmark is made in the USA from New England maple, and beautifully decorated with nontoxic paint and finishes. This is a gift that will be a toy chest favorite for your kids, and their kids too. An inexpensive way to go plastic-free this holiday is to create an art kit for your kids. Sketch pads, crayons, chalk pastels, and even chalk and chalkboard all offer plastic-free entertainment. Ditch the plastic markers in exchange for these colored pencils made from FSC-Certified wood from Brandless. For the kids not old enough to wield an embroidery needle, these baby animal lacing cards are an adorable activity for little ones. The sturdy cardboard cards are designed with durability and development in mind—they encourage hand-eye coordination, motor skills, color identification and dexterity. Another holiday classic, this beautiful rocking horse is a modern take on a timeless toy. Made from reclaimed rubber wood, this horse is sustainably made and brings a little bit of nature into your home as your child is developing.